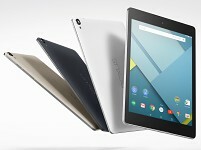 The Google Nexus 9 will be curiously gazed upon by both Nexus 7 and Nexus 10 owners, as HTC gets back on the roster to take over from Asus and Samsung. The 8.9" beauty is a return for HTC to both the Nexus family and the tablet realm in general. Almost five-years passed since HTC made the Google Nexus One, while its last tablet dates back to 2011. The HTC Nexus 9, like the Motorola Nexus 6, also marks a major shift in product strategy for Google. 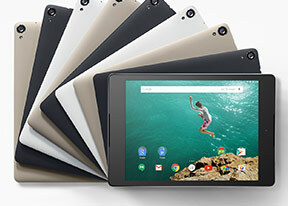 Unlike past Nexus tablets, which cut a few corners in order to keep the price super attractive, the latest iteration makes no compromises. The Nexus 9 is a bona fide powerhouse with highly capable hardware, premium build, and a brand new Android version to boot. Hardware-wise, the Nexus 9 leaves nothing to chance. Its Tegra K1 chipset is the most powerful silicon available for Android tablets. The 8.9" 4:3 QXGA display isn't too shabby either - its brand new ratio puts it squarely against the Apple iPad family, although the choice of size make sure it gets some room to breathe. Design and build quality have been taken up a notch as well. The Nexus 9 looks and feels as premium as its specs suggest. Its three available colors, like the 4:3 display, are another subtle swing at Cupertino. However, powerful hardware and premium design are only one part of the picture. The brand new Android 5.0 Lollipop is arguably the biggest piece of news about the Nexus 9. The latest OS build from the search giant brings fresh design, coupled with brand new ART runtime, which promises improved performance and responsiveness. As always, we will kick the review off with unboxing of the Nexus 9, followed by design and build quality inspection. Flip to the next page for a closer look at the tablet. Very much disappointing news about video format support. Only up to high profile @ level 5 of h264 is supported. High 10 profile support is broken and HEVC is not supported at all.